For the past two years, researchers at Ford Motor Company and H.J. Heinz have been developing an alternative to petroleum-based plastic for cars: tomato-based car parts. Specifically, researchers have been examining the feasibility of using tomato fibers for vehicle manufacturing. For example, the use of dried tomato skins as the wiring brackets or storage bins in Ford vehicles. H.J. Heinz, a company that uses over two million tons of tomatoes per annum to produce its ketchup, has for years been seeking a means to recycle and repurpose an abundance of peels, stems, and seeds. Ford Motor Company has long been committed to reducing its environmental footprint while simultaneously accelerating the development of fuel-efficient vehicle technology. In fact, since 2000, Ford has allocated capital towards an R&D lab specifically focused on developing plastics from renewable sources. In recent years, the automaker has made tremendous strides in its use of bio-based and recycled nonmetal input materials: for example, recycled cotton fabric for seats and carpeting, soy foam seat cushions and head rests, and console components reinforced by cellulose fiber. Natural fiber composites, e.g. tomato parts, produce fewer greenhouse gas emissions during the manufacturing process because they are cooked at lower temperatures, and thus are seemingly the perfect marriage of Heinz and Ford’s objectives. The tomato initiative is an extension of a collaborative commitment to sustainability established in 2012 on behalf of Coca-Cola, Ford, H.J. Heinz, Nike, and Procter & Gamble. Otherwise known as the Plant Pet Technology Collaborative (PTC), these five global companies formed a working group in 2012 with the objective of accelerating the development of 100% plant-based polyethylene terephthalate (PET) materials and fiber in their products. Polyethylene terephthalate is a lightweight, durable plastic that is used by all five companies in their products: apparel, footwear, plastic bottles, automotive fabric and carpet…the list endures. The collaborative was established in large part due to Coca-Cola’s success with its PlantBottle packaging technology, a partial-plant based packaging solution – a solution that is currently being licensed by Heinz for select ketchup bottles in Canada and the United States. The objective of the PTC is to champion research and develop technologies in order to transform partial plant-based solutions to 100% plant-based solutions, further assuaging the environmental impact. Scientists at both Ford and Heinz claim the tomato technology has been validated, but still needs to be “refined”. Today’s cars boast more plastic than ever before. The use of sustainable plastics is not only advantageous for Ford’s marketing efforts, but also for the company’s bottom-line, as the ketchup byproduct would result in a lighter plastic than that which is used today. How exactly do tomatoes become plastic? It’s a fair question. Ford dries, crushes, and compresses the tomato waste from Heinz’s two million tons of tomatoes. The team then adds molten plastic as a binder and runs the mixture through an injection mold. Current samples of the material are not 100% tomato, but the long-term goal is to create a material that is 100% renewably-sourced, such as a tomato-reinforced corn resin. This would mean that the car component is both sustainable and compostable. In the interim, the R&D team at Ford is testing the tomato-infused plastic to ensure it complies with safety requirements. It should be noted, to alleviate any consumer concerns about driving around in a tomato-smelling car all day, Ford has hired a panel of employees specifically to monitor odors. 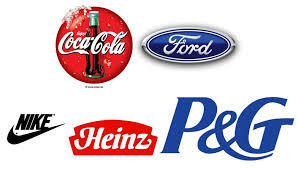 “Although we are in the very early stages of research and many questions remain, we are excited about the possibilities this could produce for both Heinz and Ford, and the advancement of sustainable 100 percent plant-based plastics,” – Vidhu Nagpal, associate director, packaging R&D at for Heinz, in the official announcement in 2014. There is no distinct timeline for Ford’s new tomato cars. After the testing phase is complete, the product must work its way through product development and into Ford’s supply chain. Recycling old materials and creating new ones from waste components takes a considerable amount of time and money in initial phases, which can be a deterrent to managers and shareholders focused on the bottom line. Hopefully, as Ford achieves success through its efforts, other companies will follow suit, as shareholders and stakeholders witness the benefits and demand new solutions. The larger picture: we are living in a world with increasingly finite resources. “Discussions around finance at the climate talks in Paris, known formally as the 21st Conference of the Parties (COP), largely center around a 2009 commitment from developed countries to send $100 billion a year to the developing world annually to support initiatives to address climate change. A recent report from the Organization for Economic Co-operation and Development (OECD) showed that $62 billion, from a combination of public and private funding, flowed in that direction in 2014, a $10 billion jump from the previous year.” – Time Magazine. 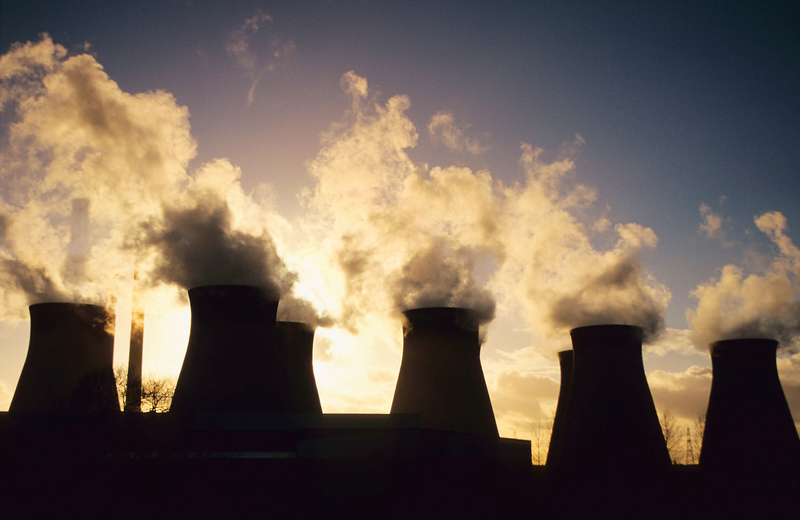 At the COP-21 Paris Climate Accord it was determined that developed countries would continue to give (in the form of both public and private funding) $100M/year to the developing world to support initiatives that reduce greenhouse gas emissions. Tomato cars is just the beginning. This is great – I love the idea of industrial ecology and sharing of outputs – as they say, one man’s trash is another man’s treasure! I think collectives like this have so much possibility, it just takes getting the right people together.